Disclaimer: For each sale that is made through the purchase links in this post I get a small commission (that does not affect your final purchase price!). Of course, I'd love if you bought any app through these links, but I have tried my best to make my review faithful. I don't want anyone to come later at me and say they were tricked into buying any app and the review was unfaithful to the application. Anyway, I won't get rich quickly (probably not even slowly) by these sales, but they will work the normal upkeep of this blog. The purchase link I give is for Trundle Unlimited, which has a lot more maps than the free version, but there is also a free version. Grab it up if you are not sure if you want to pay for it. 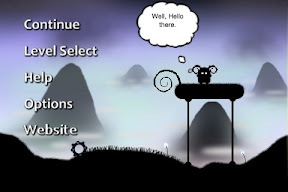 Trundle is a rare gem of good design among the below-average level of free iPhone games. 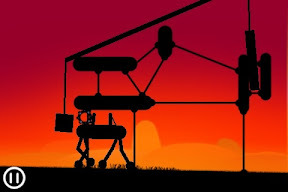 Its best description, I guess, would be that of a physics puzzle game, but this hides a lot of what it is the game really is. 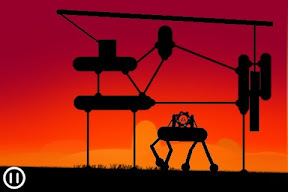 One of the iTunes store reviews said it reminded him of Another World (Out of this World in the US), and that really suggests the real feeling for the game. I guess you can find a better way to control an iPhone game, but I wouldn't bet on you. 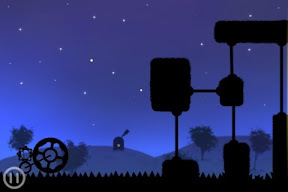 The objective of the game is to go from left to right with your... gear, tire, whatever you want to call your avatar in this game, and do so by tilting and tapping to jump. Easy, isn't it? 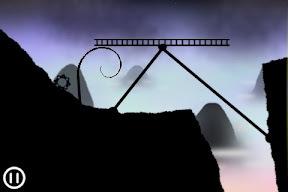 The game consists of 3 levels, at the time of this writing. When I installed it for the first time, there were only two, and the second one had been added recently. 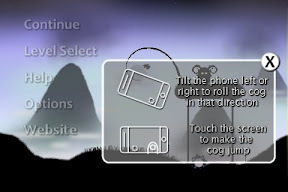 The main screen is somewhat autoexplaining, where Level Select allows you to decide which level to play, of course! Not much more worth noting, but you can start to get a feel for the game right here, as you can move your gear (in the image, just below Website) and tap anywhere to make it jump. Right here, over the menu screen. The ambientation is superb, said plainly. 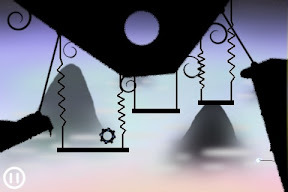 The first two levels (Sunset Mountain and Desert Sands) are fairly easy, I'm still playing the third (Stellar Orchard), which adds quite a few new puzzle types. 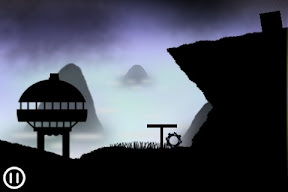 You can see how these levels look like. The clear and smooth drawn backgrounds against the darkness of the main subject. 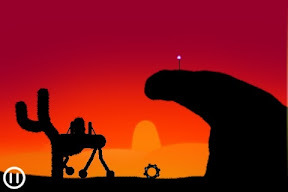 Here is where I think the similarities with Another World are. 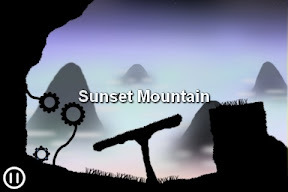 In Sunset Mountain you are usually involved just in spinning and jumping-style puzzles, to get a knock of the controls. All pretty easy, the hardest I found is the one with the hangers, very hard not to fall! 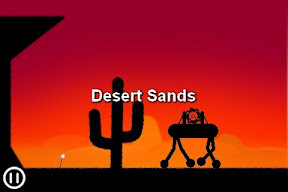 In Desert Sands, using vehicles is added, and puzzles related to such, and the final complication is achieved in Stellar Orchard, where there are also kill zones (spiky areas) which you may need to travel through a vehicle. I would highly recommend it from anything below 1.5€... and it is just its current price. 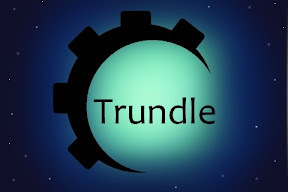 If you want it, consider buying it from this link: Trundle Unlimited. Also keep in mind that there is also a free version, with less maps!